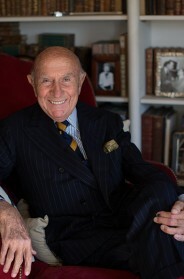 I just heard that Beppe Modenese is releasing a new biography! It will be the first thing I buy when I get to Florence next week. I’ll give you an update as soon as I have it in hand. 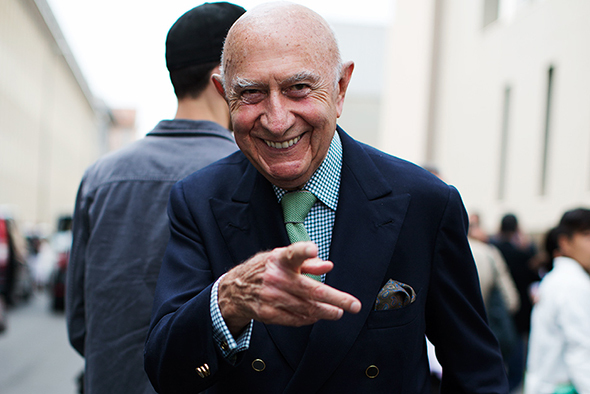 Do we have a ‘Godfather of Style’ yet? Is he on the short-short list? He never makes a bad turn. Impeccable style! He’s always an inspiration. I love taking cues from his combinations for whenever I wear blazers. Nothing like Italian style! Thanks for the heads up! 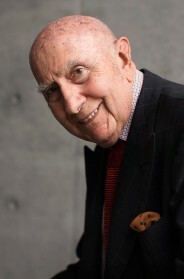 I wonder if Mr Modenese is wearing his signature safety pin tie clasp ? What a lovely, stylish gentleman ! The cover looks great! Great style! Finally got him to smile … Actually laugh! Great style. But does his hand look photoshopped? Or is it just me? Would love to buy for my husband for father’s day! But not on Amazon….yet. Can you advise where to buy? So exciting to have an older man of style showing us how it is done! A man like that will always dress happily, whatever he wears-and beautifully too. I like this combination. Looks to be a nice green Panama tie over a blue Gingham check shirt, and of course he’s wearing a double-breasted navy blue suit – with gold buttons. It’s a safe combination, suitable to his age and status. What a fantastic cover !! Signore Beppe looks fantastico as always! What a charming gentleman! I’m sure the book will be an interesting read, I’ll have to keep my eyes open for it. He always looks impeccable, the book looks beautiful. I’ll buy it, too. He’s such a classy man. Going to bella Italia and Florence in July, PLEASE advise on where I can buy the book. Which shop and where? All the best, thanks for a brilliant blog! 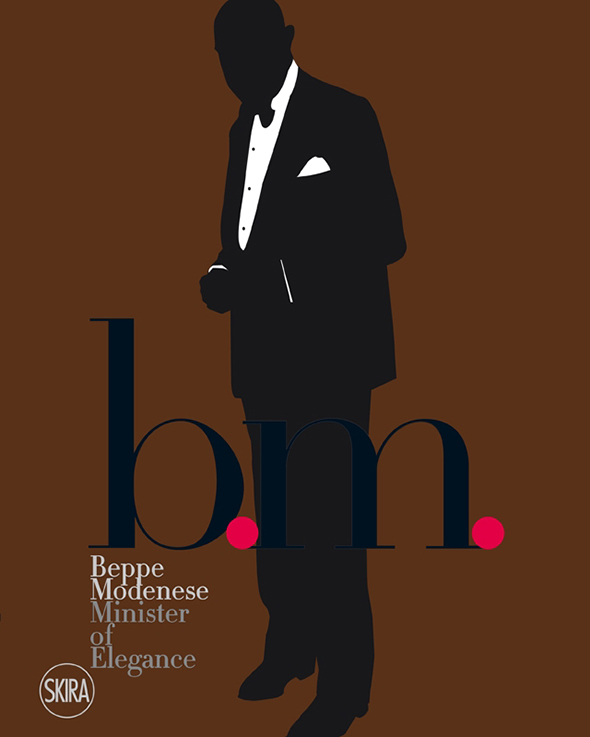 It’s funny that the silhouette also looks like Oscar De La Renta- Another super chic man. Perfect gift for the man in my life, thank you!! 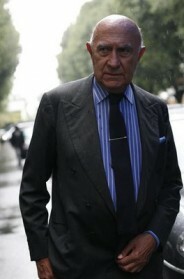 I am tired of this look, the Europeans need to move away from this look – I am the count of Milan look!